Attorney and staff volunteers from Craige Jenkins Liipfert & Walker gathered together this week at St. Timothy’s Episcopal Church to help serve dinner to women experiencing homelessness. St. Timothy’s serves as an overflow shelter for women, where guests are able to get a warm meal, a change of clothes, and a full night’s sleep supervised by volunteer monitors. The church works together with a local non-profit organization to provide shelter during the coldest months of the year. As our Craige Jenkins volunteers prepared the dinner, they learned about the church and its local efforts to combat the issue of homelessness in Winston-Salem. Most of the women who would stay at the shelter that night were transported from a downtown location where they check in for the evening. Because the permanent shelter locations are often at capacity now, overflow shelters are able to take in guests for the night. All of our volunteers enjoyed the conversations with the guests while serving dinner, and all were able to sit down together as a community to enjoy the dinner together. 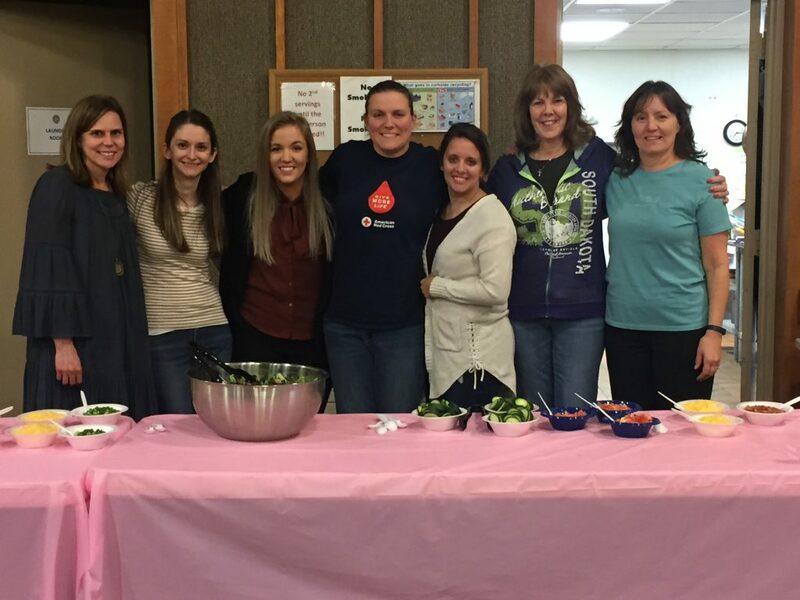 Pictured from left to right: Ashley Robbins, Melissa Webb, Crissy Dixon, Lori Edwards, Allie Booker, Lynn Miller, and Lorrie Bennett.